The FA Cup will have passed many fans by this weekend, with a combination of uninspiring ties and kick-offs all over the place timed to meet television schedules making it hard to follow what was going on, where. 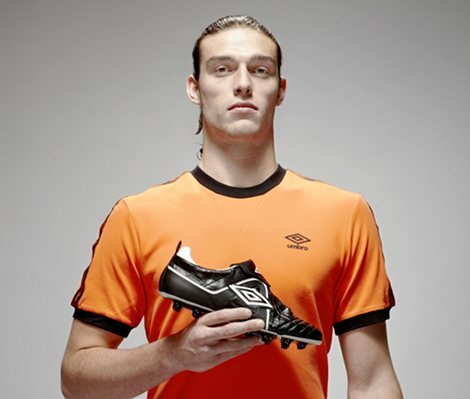 Andy Carroll will have been happy with his fine finish. Well, much happier than he looks here, anyway. Brighton had real reason to celebrate, with three players finding the next four times at Anfield – not many visiting teams can lay claim to that. Sadly for Gus Poyet’s men, only one of those actually counted for them, as they were on the wrong end of a 6-1 pasting. Liverpool’s much-loved strikeforce both also found their way onto the scoresheet. Sunderland exacted revenge for last weekend’s last-gasp defeat to North London’s second team, compounding a terrible few days for Arsenal whose season now hinges on securing a top four spot. The Mackems will face Everton in the next round, who quietly put Blackpool to the sword and had the tie won after six minutes thanks to goals from Royston Drenthe and Denis Stracqualursi. If there was to be any ‘magic of the FA Cup’, the marketing men were hoping it would come on Sunday. Crawley and Stevenage – two sides synonymous with non-league football but now making great strides in the football league – entertained Stoke and Tottenham respectively. While it’s hard to suggest that anyone really wanted a Crawley win – they are as unloved by fans throughout the pyramid as some of the bigger clubs are – when Rory Delap received his marching orders in the first half an upset was on. Instead, Tony Pulis’s grafters took control to win with goals from Jon Walters and Peter Crouch. Stevenage worked hard to ensure that Spurs never really got into their stride and, while they endured a few scary moments, they earned their right to a money-spinning replay at White Hart Lane. 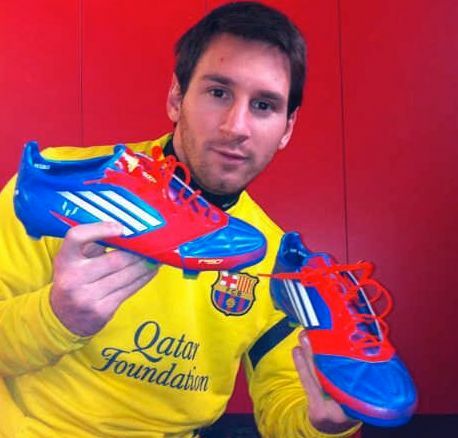 Messi + His adiZero's: A Four-ce to be Reckoned With. An upset of sorts played out at Carrow Road, but in a fixture between Norwich and Leicester it’s hard to evoke memories of Colchester v Leeds or Wrexham v Arsenal from years gone by. The Foxes won 2-1 thanks to a winner from in-form David Nugent. In Spain, Lionel Messi took all the plaudits for his four-goal salvo against Valencia in the battle of second and third in La Liga. 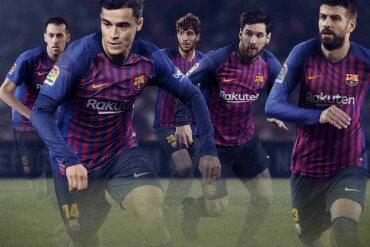 His haul took his tally to 42 this season, yet another astonishing feat for the man adidas are glad they have in their stable. It all counts for nothing though, as Real Madrid’s 4-0 spanking of Racing Santander on Saturday night means that they still sit ten points clear of the world’s best team. When all is said and done, Jose Mourinho can take immense pride in leading the division so emphatically. He’ll possibly always be remembered at the Santiago Bernabeu for coming off second best in the sides’ head-to-head clashes, but this achievement should not be overlooked when he is facing perhaps what will one day be remembered as the best-ever club side.